PayStand, a next generation payment processor and checkout gateway, has been simplifying the online payments process for both merchants and customers since its launch six months ago. Now it has taken another step to make the process even safer, more intuitive and less expensive by streamlining the electronic check (e-Check) payment option so it is easier, and lower cost, to pay this way than by credit card. 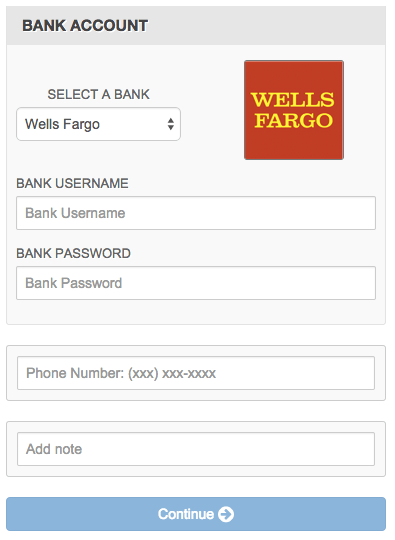 To initiate the new e-Check option for payment, users enter their bank login and password. Transaction fees are fixed, and start at 25 cents. Alternatively, credit card payments, the typical default payment method, require users to enter a long string of numbers and fill in a billing address form. Until now this has been the most convenient payment method, but one that seriously impacts the bottom line for merchants. PayStand’s new easy and secure e-Check process benefits non-profits and service businesses immediately. Non-profits now can receive very close to 100% of donations, rather than losing 3% in credit card fees. Service businesses, for the first time, can offer their customers the flexibility and convenience of an online payment with virtually no fees. High-ticket item industries have the potential to save hundreds of dollars on every transaction. Perhaps one of the greatest areas of impact, however, is business-to-business payments. Wire transfers are costly and slow, access to ACH is limited, and payments lack the flexibility and line item description that enable appropriate tracking of payments. PayStand’s online alternative to credit card offers the potential to greatly streamline legacy payments, and the PayStand API enables payments to be integrated into ERP or order management systems, greatly streamlining operational workflow. Santa Cruz Warriors announce partnership with Paystand Inc.